I believe it is important to eat seasonal fruits and vegetables because they offer higher nutritional value than produce which is out of season. Seasonal food is grown using lesser chemicals and pesticides. In times when inflation is at it's peak, buying seasonal produce helps you save money as it is economically priced. 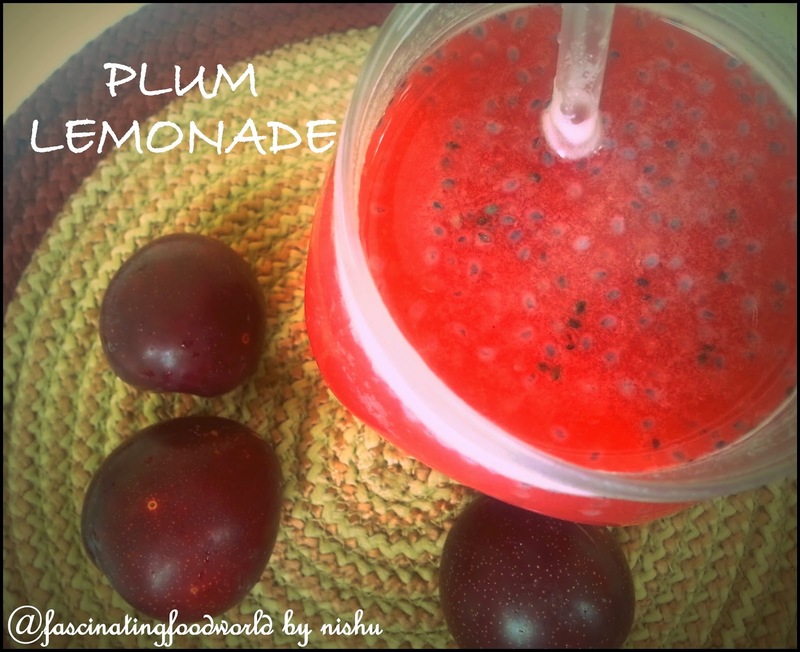 Plums are in season and I am enjoying them with Plum lemonade which I recently invented. Rather than packed juices and sharbats, welcome your guests with this refreshing plum lemonade. If you fancy your cheeks glowing and red like plums then you must eat plums! 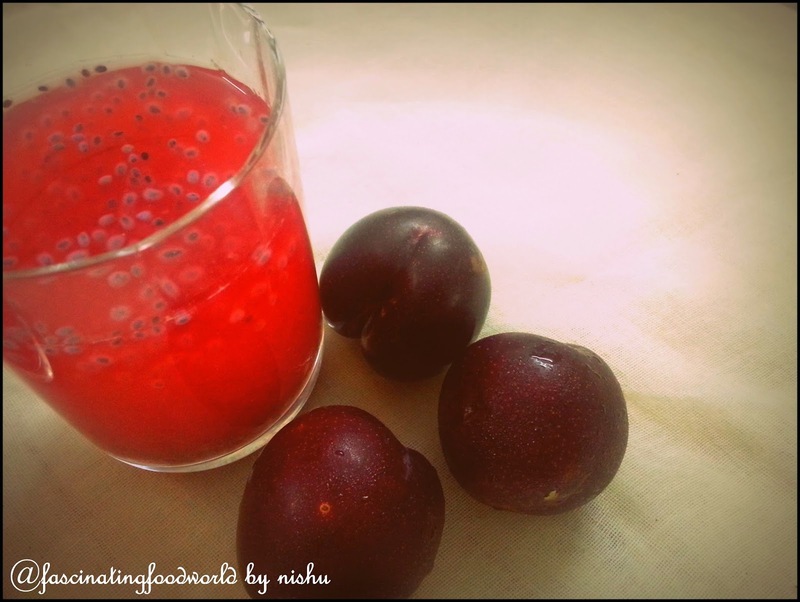 Plums are full of antioxidants which are highly beneficial for the body. Another good nutritional benefit of plums is that it it loaded with dietary fiber and helps fight constipation. Plums make heart rate moderate and checks blood pressure so it gives you a healthy heart. 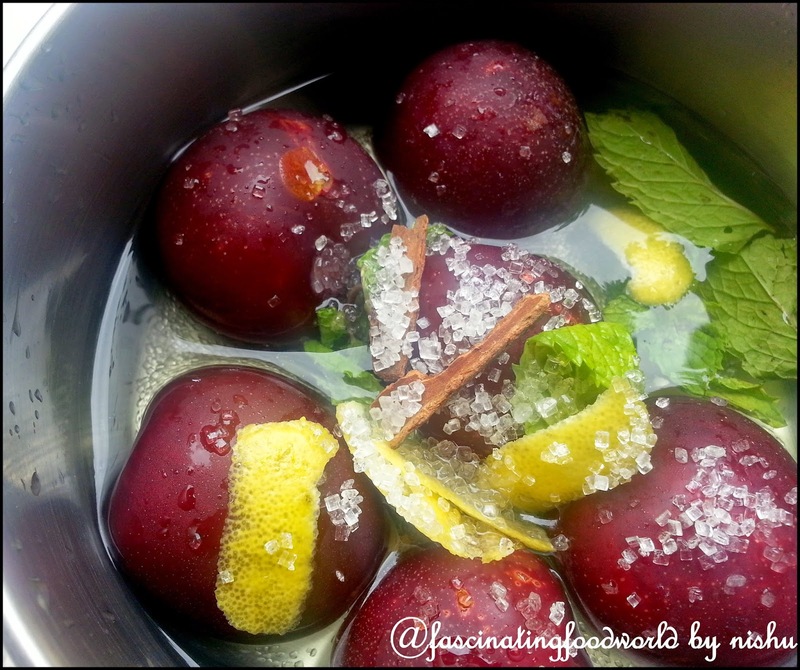 In a sauce pan, add plums, sugar, lemon peel, mint leaves, cinnamon stick along with 1 glass of water and simmer on medium heat for 15 minutes. 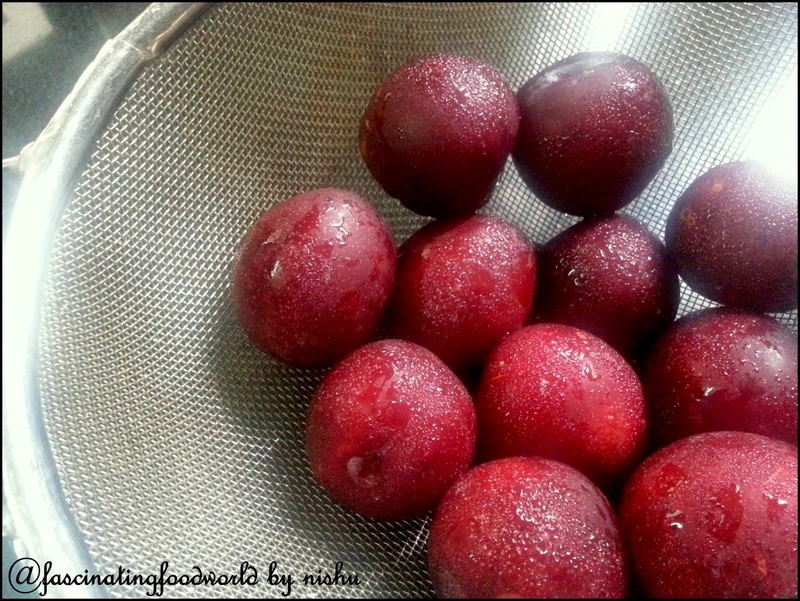 Remove skin and seed of plums. Using hand blender, blend entire mixture with 2 more glasses of water. Strain and chill in refrigerator. 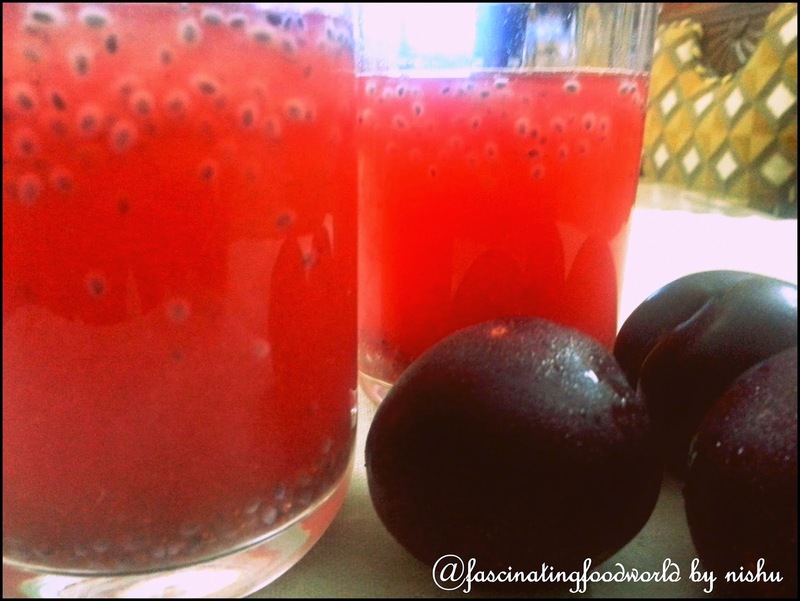 Once juice is chilled, add salt, black pepper powder, cumin (jeera powder) and mix well. Soak 2 tsp chia seeds in little water for 15 minutes and add to juice just before serving. It is alright to relish food which is not good for you if you have it once in a while. Make sure to incorporate fruits, vegetables, whole grains, dry fruits and atleast 10 glasses of water everyday in your diet. Secret to looking lean is to eat in small portions 5-6 times throughout the day. What are you doing to get people healthy around you?? ?